I believe it was Elmer Keith who coined the referenced phrase and I certainly agree with him. Every week I get to spend several wonderful days at a great gun club checking members, observing safety conditions and protecting club property. As a bonus, I get to shoot, pick up brass, talk to like-minded folks and read various things. They even pay me to endure all of this. 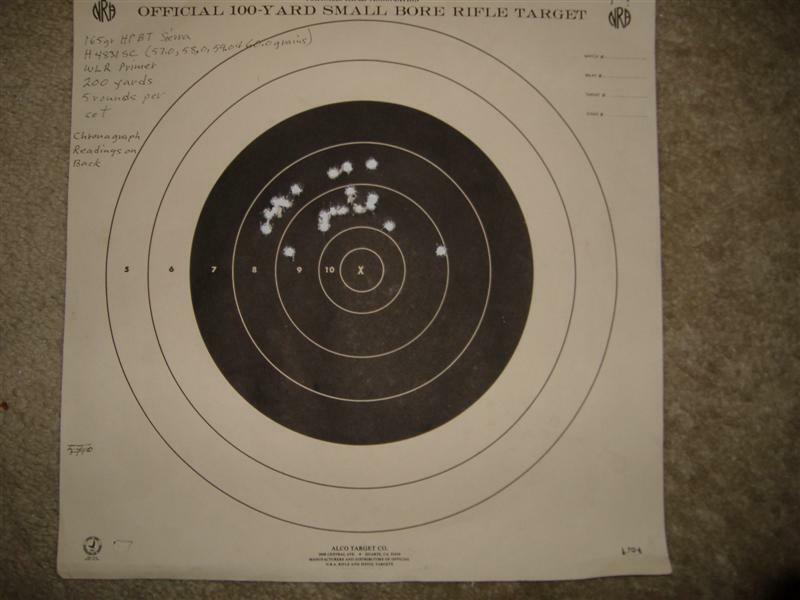 On a random basis, I take guns out to the range and have often been amazed at how well they shoot. The last few weeks were devoted to sighting in scoped .22 rifles. The Remington Model 582 (tube feed bolt action) and the Winchester Wildcat (magazine fed bolt action) both preferred Winchester ammo over Federal brand. 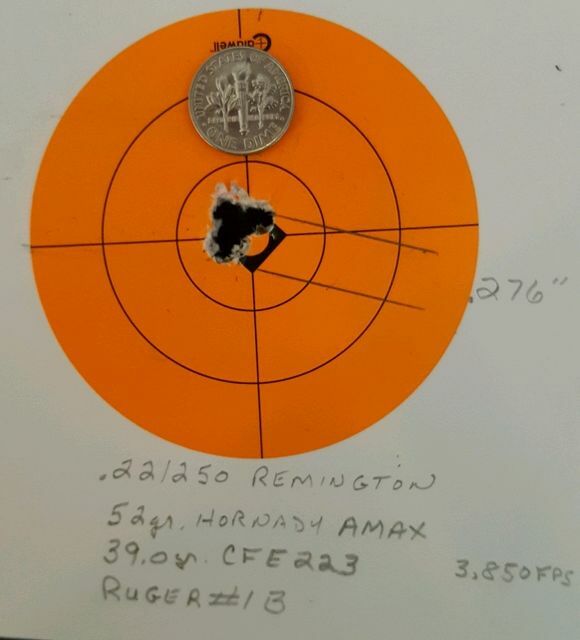 Groups with Federal ammo were good while the Winchester groups at 50 yards were outstanding. Both rifles are going into the autumn woods with me. I agree with the statement made by Elmer up to a point. Great accuracy certainly makes the shooter feel good, but I also like the historical aspect of some firearms. Picking up and shooting a historically significant or interesting firearm delivers a real thrill, knowing that the shooter of old had to do the best they could with the firearm, often achieving amazing or outstanding results. Trying to emulate these feats is something that I find to be also appealing...even better if accuracy is achieved. yea and nah on that one........my little 7.62x39mm isnt a tack driver by any strecth of the imagination...2-3" at hundy is normal for her...yet it gets the most use of the rifles in my cabinet as its just plain fun to use,the subsonics Im running in it now make my .22lr redundant as they are similar in price to shoot and headshooting a house mutton at 50 yards or less is childsplay with her and they go down like a lead balloon. my .223 would be the most accurate in cabinet yet gets the least use now as we dont get out after wallabies as much any more. Inaccurate guns are just a challenge. Keeps one on his toes figuring out what the cause is and fixing it. Bushy, I had an AMT Lightning .22 rifle for a while. It would shoot groups 0.5" wide at 50 yards. However they were also 6" tall... After many tries, including returning it to the factory, nothing changed. It got traded off. Guess I wasn't up to the challenge! I love my sub-MOA stuff. I also love the not so sub-MOA stuff. If I can get Minute-of-CenterMass out of the latter at or near the max range of the load I'm happy! Pics of these two preez! Are there powder burn marks on that target? 4 shots at 100 yards. Chickened out for the 5th shot. Figured it would end up on the next county! 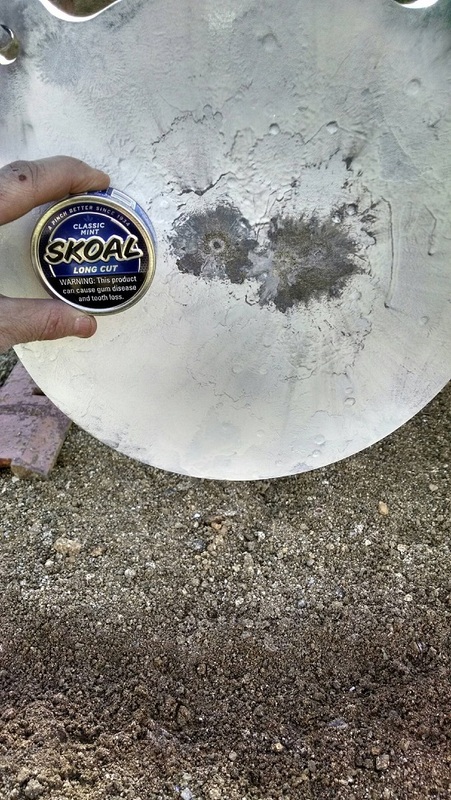 Of course we all only post the really good targets...those that look like a shotgun pattern seem to miss the cut! Ya mean like this one. .30-06 Browning and Redfield scope. Range 200 yards. Howa 1500 20" bull. 168gr SMK, 41.7 RE15, FGMM case, Fed primer. Crimped, LEE dies, 10x glass, prone. After 4 years off! 300y, 5-shots (frekin' flyer! BTW- a "flyer" is a jerked shot), winds; 75-90* @ 100: 10 w/ gust to 15. 340-10* @ 200: 10-15. InCQ/switch @ 300.